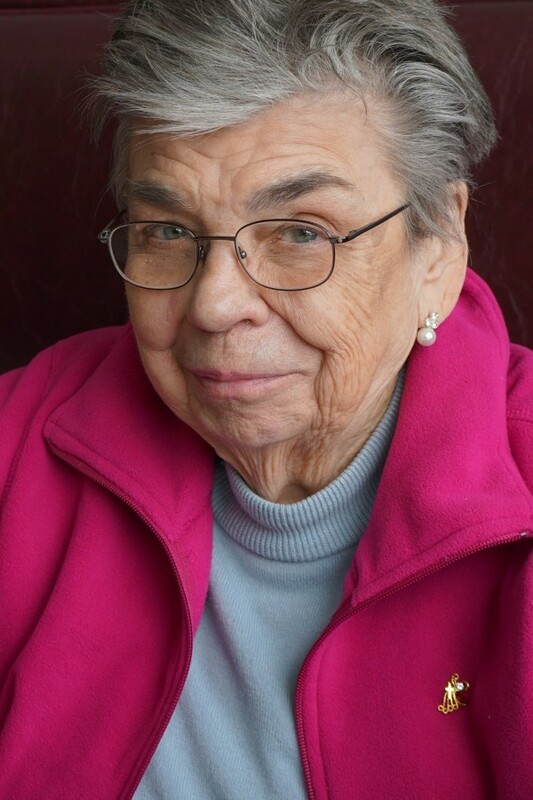 Wynefred Dolan Johnsen, age 89, of Brainerd, MN passed away on Monday, March 18, 2019 at Woodland Good Samaritan. A memorial service celebrating Wyn’s life will be held this summer; details will follow. Wyn was born on July 24, 1929 in Kenosha, WI to Raymond and Myrtle (Kiehl) Dolan. On June 28, 1948, Wyn married Earl Johnsen, her best friend for life, in Kenosha, WI. Wyn worked alongside Earl doing bookkeeping and general administration for his various business endeavors, including KLIZ Brainerd radio station, along with raising a family. Always partners in everything, captain and crew, they relished the time with their sailboat and sailing friends. When Carol and three granddaughters came to Brainerd to live with grandma and grandpa, Wyn and Earl embraced another generation of children, keeping them forever young. Wyn enjoyed her connection at Trinity Lutheran Church in Brainerd, volunteering in many committees over the years, and making life-long friends. When Earl needed the support and care from Bethany Good Samaritan in 2015, she was able to walk across the street every day to be with him, made friends with staff and residents, and volunteered her time with an Alzheimer group. And many people in her circle of family and friends probably have a knitted animal or two to remember her by. Preceded in death by her husband, Earl Johnsen, and her sister, Margaret Herth. Left to cherish her memory are: daughter, Carol Freeman (Russ Carew) of Brainerd; son, Keith Johnsen (Amy Person) of Minneapolis; grandchildren Paul Johnsen, Katherine (Jerry) Fels, Lynne Freeman (Kyle Kersten), Rachel (Ian) Dinsmore; great-grandsons Maleki and Noah Kersten.